"Please accept our condolences. We are in thought with you. " "Our heatfelt condolences to the Flood and Finch family. Judy was a wonderful, gr"
"Hold tight to memories for comfort, lean on friends and family for strength, and"
"My prayers and thoughts are with the family during this difficult time. Judy tou"
"Dearest Judy, I so loved knowing you. You were a real lady full of charm, warmth"
"Wishing you peace, courage to face the days ahead and loving memories to forever"
Dr. Judith “Judy” Duncan Flood, 69, a resident of Annapolis, MD for 35 years and previously of Ft. Washington, MD, died unexpectedly on Monday, December 11 due to a cerebral hemorrhage. Born on November 30, 1948, in Ludlow, MA to the late John C. and Sarah E. Brome Duncan, Judy earned a B.A. in Elementary Education from Ohio Wesleyan University and a Doctorate in Educational Leadership from Nova Southeastern University. 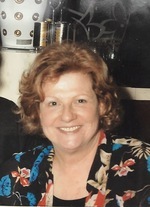 During her career, she was Chief of Instructional Technology with the Prince George's County Public School System, Grant Manager with Baltimore County Public Schools, an Instructor at Towson State University and was Executive Director Emeritus with the Maryland Society for Educational Technology. Judy enjoyed reading, walking 10,000 steps a day, singing in the church choir, playing with her dogs, computers and technology, needlework, traveling and being with her family and friends. She is survived by her husband of seven years, CDR Robert Flood; her son, Jeffrey Finch of York, PA, his wife Jana Finch, their son Cameron and daughter Moira; her son Jason Finch of Columbia, SC, his wife Parin Finch, their daughters Sarah and Anjali; her sister, Carolyn Quatraro of Hamilton, VA; her stepdaughters Elizabeth Flood; Mimi Mack, her husband David Mack, their children Courtney Mack and Brittany Mack, and great-grandchild Olivia Gray; and Verone Flood. Judy was preceded in death by her former husband, John R. Finch. A memorial service will be held on Monday, December 18 at 10 am at the United States Naval Academy Chapel in Annapolis, MD. Inurnment will follow at The United States Naval Academy Columbarium. In lieu of flowers, contributions may be made to the American Cancer Society, 7500 Greenway Center Dr., Suite 300, Greenbelt, MD 20770. Condolences may be made online at the link on this page.